When it comes to advanced estorative dentistry to treat cavities, sometimes a tried and true solution works best. Such is the case with dental fillings. Our Wilmington practice places fillings regularly, and we have learned that all treatments for patients need to be customized and carefully considered. With regard to dental restorations, there's been some discussion about tooth-colored materials and whether or not they are better than the traditional metal material of the past. Let's take a moment to consider this topic with regard to dental fillings. There's might be more to the discussion than you think. Metal dental fillings were the standard treatment option for tooth decay for decades. 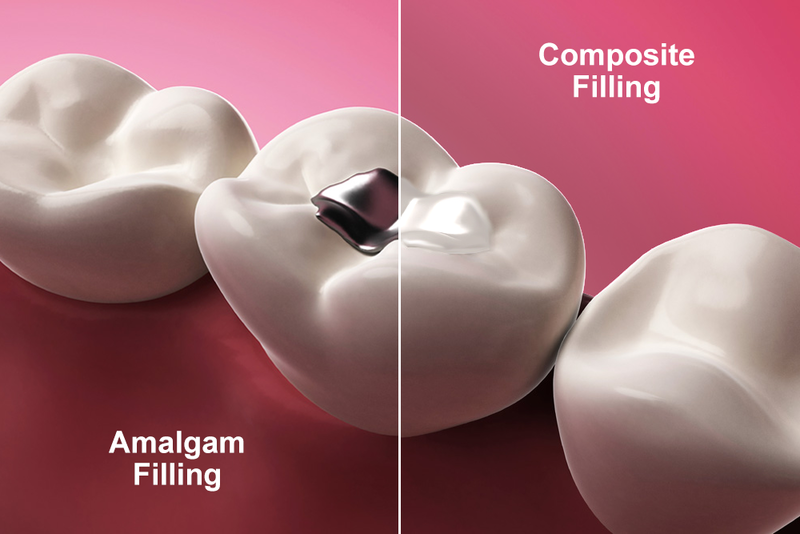 Comprised of metal amalgam, these fillings helped restore tooth structure that was eaten away by cavities. If you're of a certain age, you may have a metal filling or two in place right now. Tooth-colored dental fillings are an alternative to metal fillings that have been growing in popularity among dentists and patients over the last decade or so. Rather than using metal, these types of fillings use acrylic and ceramic materials to restore damaged teeth. The material is color-matched to the patient's tooth for optimal aesthetic results. Younger patients are more likely to have tooth-colored fillings in place than metal fillings given the cosmetic advantages and other factors. Though an older solution and not as aesthetically pleasing as tooth-colored fillings, metal fillings do have some advantages to consider. Most notably, metal fillings are very durable. When a metal filling is put in place, it is able to withstand a great deal of wear and tear over the years. That's the reason they are commonly used for the molars just given the natural function of those teeth. Tooth-colored dental fillings have many advantages, particularly because of their appearance. People with tooth-colored dental fillings are able to laugh, speak, smile, and yawn without feeling self-conscious about visible fillings in their mouth. Tooth-colored are rather durable, and able to withstand a great deal of normal wear and tear people face on a daily basis. In addition, tooth-colored dental fillings require less substantial preparation than traditional metal fillings. This means removing less tooth structure to accommodate the tooth-colored filling. The more natural tooth structure that a patient can retain, the better. While it could seem like tooth-colored dental fillings should be the only kind of restoration used, there are still applications for metal dental fillings. Sometimes a dentist may feel that metal fillings are better for a patient's dental health, particularly when restoring a molar. For more prominent teeth, a tooth-colored filling might be more ideal given the cosmetic concerns to a patient's smile. Obviously there is no one-size-fits-all approach to good dental care. This is why it's so important to visit our practice for a consultation. This allows us to assess your dental health and determine which treatment would be best suited to enhance your smile and overall dental health. For more information about all of your options for advanced dental care treatment, be sure to contact our team of cosmetic and restorative dentistry experts today. We will work with you to improve the look of your smile and your overall dental wellness.